There’s nothing more important than feeling safe in your own home, but many people need some reassurance in that department. And if you don’t necessarily want the help of a firearm to feel protected, there are plenty of other options to choose from. So we’ll help you select the best home defense weapon for your purposes, by analyzing several equipments to choose from. We’ll start by discussing the factors that influence your choice, though. Some of these factors and the reviewed products are presented in the table below. 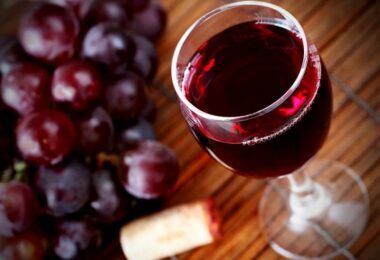 Among the many factors that influence your choice, consider the following as essential. The type of self-defense weapon you’ll choose relates to your purpose and combat style. For instance, if you’re comfortable with close combat, you can always choose a baseball bat or an axe. If you’re more the flight than fight type, you can choose a stun gun or a pepper spray. Of course, you’ll need to consider the traits of your product depending on the type of weapon you choose. It’s good for a baseball bat to be heavier because it gives more force to the blow, but this doesn’t apply for a pepper gun, though. You should check how durable and resistant the materials and craftsmanship are. 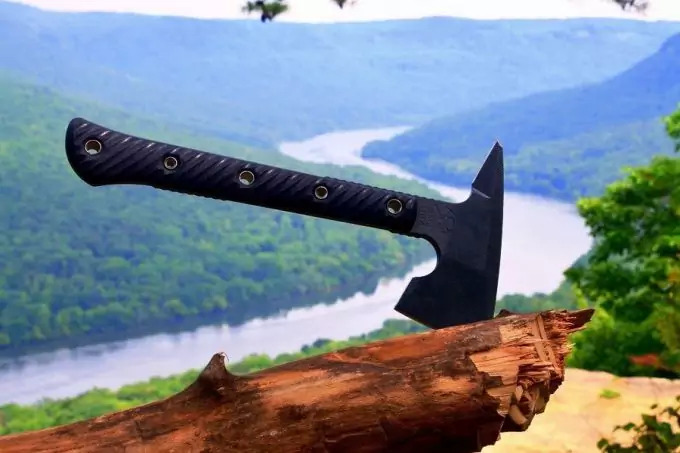 It’s arguably more important for a close combat weapon like an axe to be manufactured from a durable, impact resistant material like aluminum or stainless steel. But the smaller weapons should also be sturdy and not break easily. The grip is important too in terms of comfort, particularly if you’re using the weapon for prolonged periods of time. Because of the rising tension, your hands might sweat which can make you lose grip, so a rubber padding is a nice bonus. You should pick an item that has convenient dimensions and a weight that’s easy for you to carry. A pouch or a wrist strap are sometimes needed and prevent you losing the weapon, not just carrying it safely. But you should check the rules of the state you’re in and make sure you’re allowed to carry or have such a weapon, particularly if you’re not using it just on your own property. Having a versatile gadget might be a bonus. For instance, some of these weapons can actually be used for other activities like camping or martial arts practice. But it’s good if you can use these devices for defending yourself in multiple ways too. If they have an included flashlight, you can scare the attacker away, or you can use different sides of the weapon for applying different types of blows. 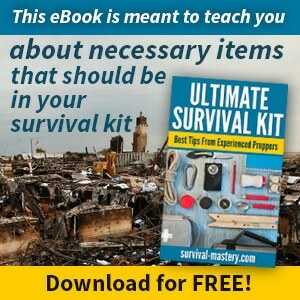 This is essential in volatile situations when you need to act fast. Make sure you understand how to use the weapon before actually needing too. Some of the products below have a user manual, while others come with an instructional video or practice elements. 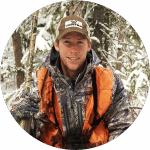 With that in mind, the products we’ll discuss suit a variety of purposes and defense styles, so hopefully, you’ll find the perfect one for you. Each of the products below is of good quality and durable, but they can only be used in certain situations. We’ll tell you all about their strengths and weaknesses below so you can compare and choose wisely. The Cold Steel Brooklyn Crusher Bat is one of the best options for self-defense because it’s made of polypropylene so it’s virtually impossible to break. That means you can use it to hit and smash even very hard objects like rocks. And if you’re curious, there’s a Youtube video of some guy using it to smash very realistic zombie heads. 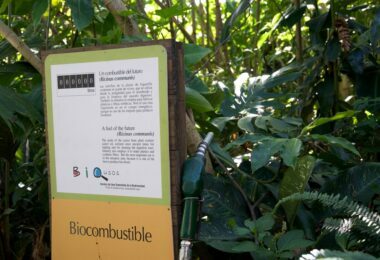 Apart from resisting impacts very well, it’s not prone to rotting or splintering either thanks to its polypropylene manufacturing. However, this poses a disadvantage when it comes to its weight, seeing as 2 pounds render it a bit heavy. That makes it heavier than a real baseball bat, and since it’s a few inches shorter, you won’t be able to use it for actually playing baseball. 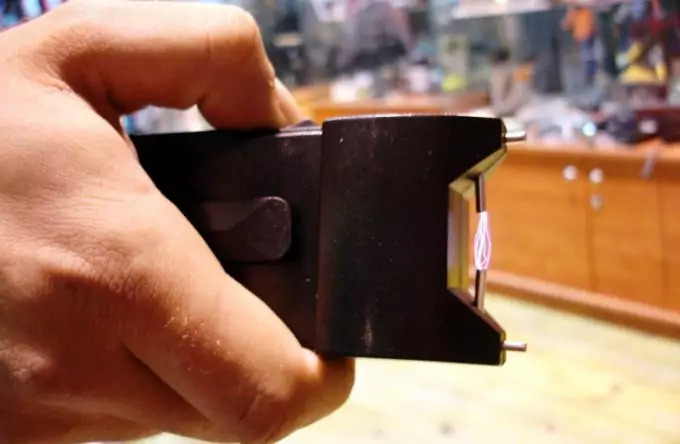 However, for the low price and the fact that it can be safely brought along in situations when firearms are restricted, it’s definitely worth the purchase. 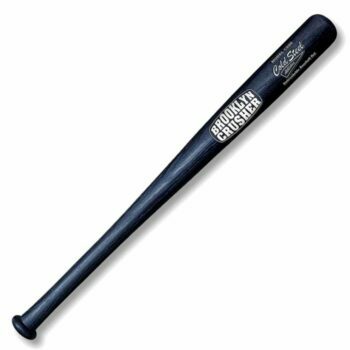 Related: We recommend the Cold Steel Brooklyn Shorty Mini Bat if you’re looking for something else in the same category. Precision molded from polypropylene, this shorter bat has mostly the same advantages as the Brooklyn Crusher, though it’s easier to handle by someone with smaller hands. 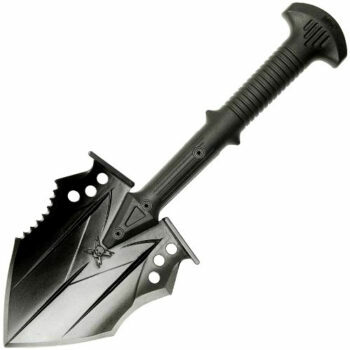 The United Cutlery Kommando Shovel is great for outdoor survival thanks to its awesome, tough construction. This might be a smaller, lighter shovel, but it does its job well. It has a sharpened point edge so you can easily stab a wild animal outdoors or someone who’s trying to break into your house. Its concave chopping edge can be used for cutting your attacker’s hand, while the other edge, which is partially serrated, can be used as a blunt weapon. This shovel is so easy to use because it has an ergonomic handle that’s also very resistant seeing as it’s made from injection molded nylon with a fiberglass and nylon reinforcement. The shovel’s head is made of tempered stainless steel, which is a light yet strong material, so it will withstand constant impacts. With its black oxide coating on top, you can be sure this shovel is resistant to scratches and other impacts. There’s also an included nylon pouch in the package. Unfortunately, this shovel doesn’t fold and doesn’t fit perfectly into the pouch. The handle will stick out, which might inconvenience you when moving through the brush. 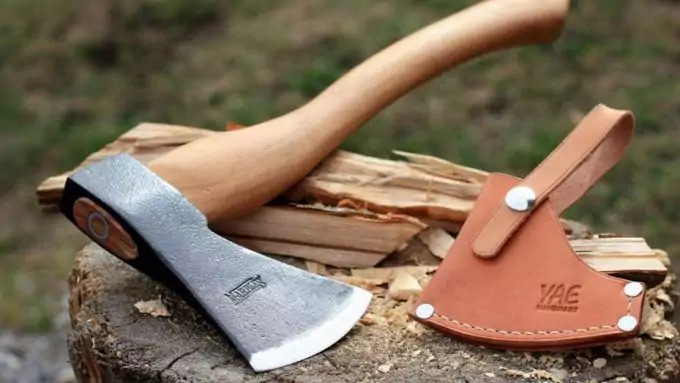 Related: We love the United Cutlery Ranger Hawk Axe to go with this shovel, especially when you need something for better cutting and digging. The axe is manufactured from the same resistant materials, nylon, fiberglass and stainless steel, so you can use it for self-defense too. And the included compass is always a great plus for outdoor survival. 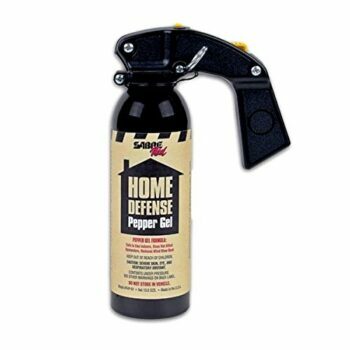 The SABRE Red Pepper Gel is great for when you’re on the run from multiple targets. With this gel, your purpose is to slow down your attackers and avoid a confrontation. So you won’t be hitting them as with the previous two weapons we’ve presented, but the advantage here is that you can easily tackle more than one assailant while moving out of their way. 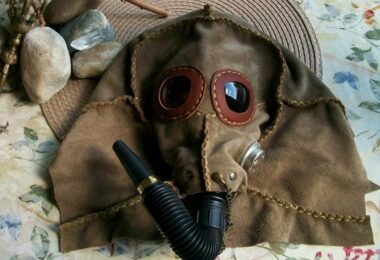 Besides, it can be employed against wild animals and outdoors with equal success, and it can be carried easily in your bag or purse. And once you release the gel, a UV dye marks the attacker which is great for identifying them later on. Unlike most sprays, using a gel guarantees you more chances of success in high winds. That means you won’t have to cover your eyes or make sure you’re upwind. The 25 feet range is quite enough for hitting the attacker, and the 32 discharged bursts minimize any wind blowback. We love the long shelf life of four years, the wall mount bracket, and the intuitive pistol like grip. The included training video is another plus, but the overall weight might be considered a bit much. 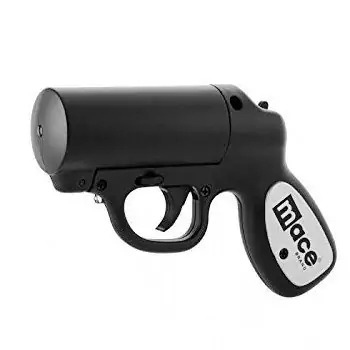 The Mace Brand Pepper Spray Gun is a great idea for stunning the attacker or the robber. It’s a small device that looks like a gun, so you can use it easily and store it without any issues. The maximum range is 20 feet, so you’ll have to be pretty close to the person you’re trying to defend your home against. Since this is a spray it might not work outdoors or in very windy conditions. The maximum number of sprays is seven, so it’s not that good for multiple attackers. The power stream pattern is powerful enough, and the 10% OC does the job too. The UV dye is another great feat, considering you’ll be able to ID the suspect afterward. The spray cartridge is replaceable, and there’s also a LED light that can disorient the assailant while also improving your target. We love the included practice cartridge that’s filled with water, it shows real interest in user experience. 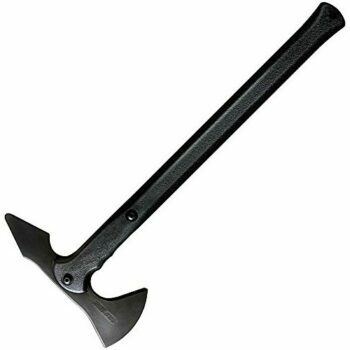 The Cold Steel Trench Hawk Axe is another great inexpensive weapon for home defense or even for martial arts practice. That doesn’t mean it’s a toy, though, and you still have to handle it with care. We would have appreciated a padded grip, for extended use, but we can’t deny the solid design. The neoprene rubber construction is strong and durable, it doesn’t bend or scratch and it resists impacts very well. On the other hand, it’s quite heavy so it might not feel comfortable for some people, while others will appreciate this adds force to the blow. The blade is dull and with a flat edge, so it’s not meant for cutting specifically, but more for hitting. If you want to use this axe for more intense, forceful hits, you can employ the spike. This isn’t sharp, but you’ll still hurt your attacker quite mortally if you aim the head area. Related: The BladesUSA Medieval Sword goes really well with this axe, particularly if you need another weapon for martial arts training. It’s inexpensive and light, plus it has an awesome medieval design. 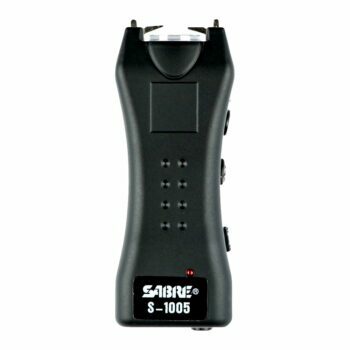 The SABRE Dual Capacitor Stun Gun is a great way to stop an attacker by provoking them an intolerable level of pain. That’s because of the 1.6 microCoulombs charge released that are bound to stop anyone with pain. The 120 lumen LED flashlight is a great addition, helping you get an accurate shot, but it can also scare away a potential assailant from afar. There’s a rechargeable battery included for the LED flashlight, which shows a high degree of care towards user experience. 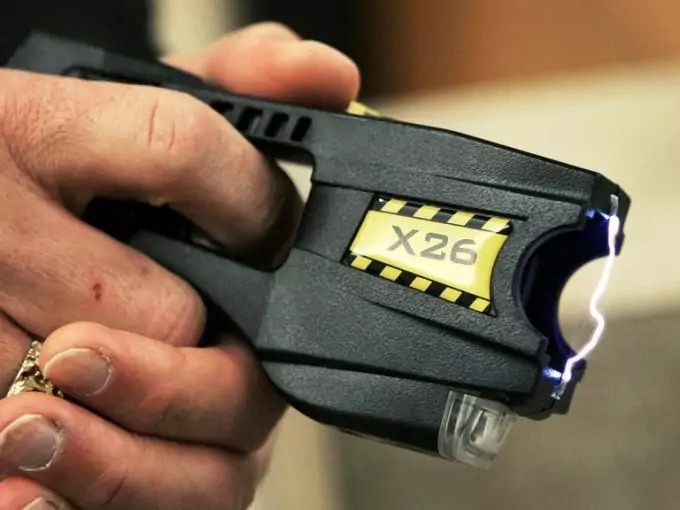 However, the actual stun gun doesn’t need any battery to work, so that’s great news. The safety switch is definitely a plus, and you can rely on how powerful this gun is since it’s been independently tested. The included extras are a nice bonus. 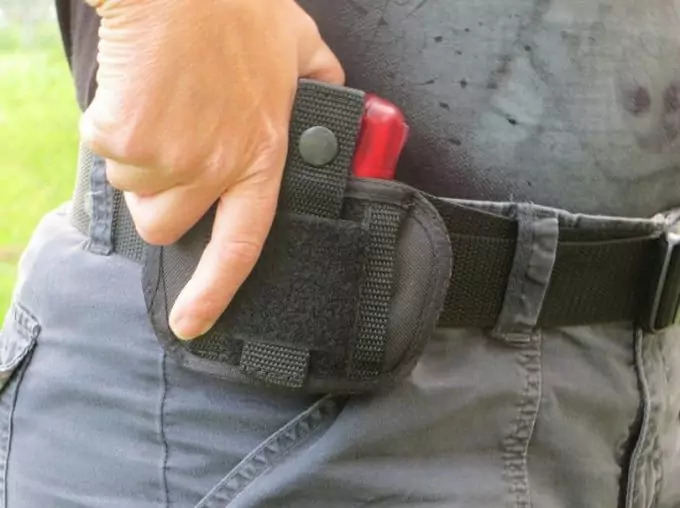 The wrist strap prevents you losing it, the holster is good for easy and safe carry, while the training video is very explicative, showing you exactly what to do. On the other hand, the plastic build isn’t that durable nor resistant, and the noisy activation might not be appreciated by some users. The Stun Master Lipstick Stun Gun works well as a stun gun, seeing as it has a high voltage. The 3 million volts will be released in the muscles of your attacker, paralyzing them for a few minutes, enough time so you can get away. The downside here is that you’ll have to be really close to your attacker, then run right away. However, since this device is disguised as a lipstick, you can assume that it’s meant for those situations when you know the attacker. For instance, if you’re the victim of domestic abuse, you have a way to defend yourself better. The disadvantage is that you can forget which one is your lipstick and which one is the stun gun. The metal shell is durable, so it will resist impacts and scratching. The LED flashlight is easy to use, with the push of one button, and so is the actual stun gun. You can recharge the LED, and the charging cable is included in the package. 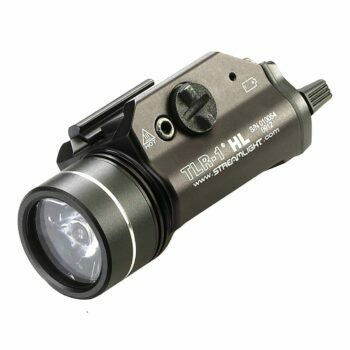 The Streamlight TLR-1 HL Flashlight is the perfect flashlight to mount on your weapon for when you’re trying to clear an alley. There are two reasons for that: this flashlight can fit a huge range of weapons with Glock or Picatinny rails, and it has great peripheral illumination thanks to the TIR optic. The C4 LED is very powerful, considering it has 800 lumens and the produced beam is 12,000 candela. However, the CR123A battery needed and included in the package lasts for only 1.25 hours. The adjustment is easy, through a snap on mechanism, and its body doesn’t interfere with using your weapon. However, the strobe function is pretty difficult to enable, which doesn’t allow you to use it in an actual confrontation when you would need it the most. Regardless of that, we appreciate the solid construction, since the 6000 series machined aluminum is a strong and light material. The anodized finish and shockproof glass for the lens are additional pluses. Related: Although there’s an included battery in the pack, you can always use another few at hand, especially considering that the average battery life is just a little over an hour. So we recommend you get the Streamlight CR123A Lithium Batteries, which have a long shelf life and come in a 12 pack. Do you want an easy to conceal device like the Stun Master Lipstick Stun Gun, or a very obvious weapon like the Cold Steel Brooklyn Crusher? Do you want to put your attacker in the throes of hell with the SABRE Red Pepper Gel or do you just want to scare them away by using a powerful light like that offered by the Streamlight Tactical Flashlight? We’re curious what sort of self-defense device you’ll choose and why. The comments are right below! Best Tactical Flashlight: Find Your Way in The Darkness!